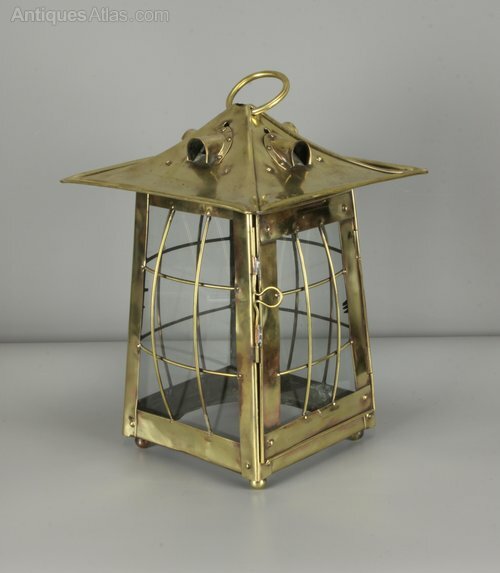 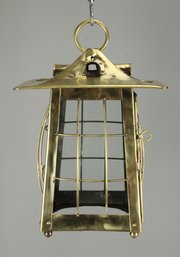 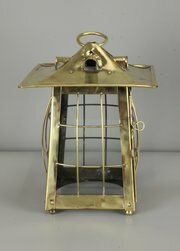 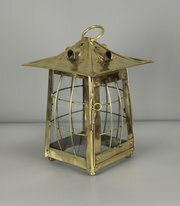 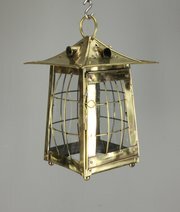 A good sized Arts and Crafts brass lantern, dating to circa 1900 - 1910. 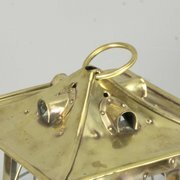 Offered in reasonable condition, commensurate with age, it probably was originally copper plated as there are faint traces remaining in places, but does look good as is! There is no lamp holder so it can be used as a shade with a pendant lamp holder, subject to a qualified electrician fitting a suitable ceiling fixing. 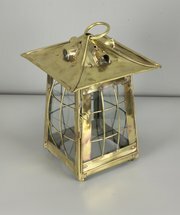 It measures 38cm high and 26cm square.